Telefone was an album that caught a lot of people’s eye during its 2016 release since it was a refreshing and unique R&B project. 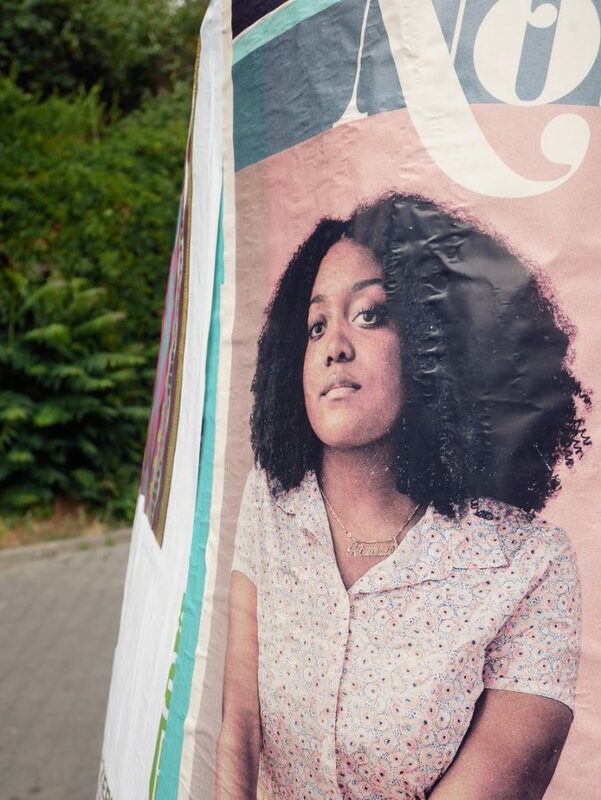 It was the debut album for Chicago poet and rapper Noname, and it was one of my favorites from the year. To visualize the mood of this album, imagine you’re driving your car in the light rain and there’s just a bit of sunlight peeking through the clouds as you take a fat sip from your pumpkin spice latte. Noname has a very low-key but rapid flow that fits perfectly on top of the instrumentals like a velcro hat. Her tone of voice sounds like she’s trying to rap a baby to sleep. The instrumentals are very delicate and warm, but my only issue with Telefone is that she sticks to this style on every song. It worried me for Noname’s future of music because if she’s unable to evolve her sound while maintaining the Noname brand, then people will lose interest. Did this happen on her newly released Room 25? Not at all. Room 25 maintains the silky style from Telefone while adding a more energetic and jazzy touch. There are more bouncy baselines and spastic drum patterns. The first thing that stood out to me was the percussion, because it is emphasized significantly compared to Telefone. Telefone’s percussion just served as a platform for the main instruments while Room 25 shoves them in your face. Small things like this makes Room 25 stand apart from Telefone. The instrumentals follow less of a pattern and are more improvised as the song plays out, which sets more of a mood. There are a bunch of interesting sounds that are outside Nonames safe zone, like muffled synths and relaxing ambiance. No one picks features for an album better than Noname. I have no idea who most of them are, like Adam Ness and… Yaw, but they fit the mood perfectly with their soothing vocals and quartet sounding voice. One of my favorite aspects from Telefone was the harmonic choruses that have these vibrating quartet vocals and I’m glad we get to experience them once again on tracks like “Ace” and “Window”. I had to take a breather after listening to Saba’s verse on “Ace” for the first time. All of those lyrics could’ve added 2 more minutes to the song if it was said with a moderate flow but Saba just HAD to compress them into about 30 seconds. I only have one problem with Room 25 and that is the out of place lyrics. There are some real sensitive topics on tracks like “No Name” where she raps about developing her character as an artist. On the track “Don’t Forget About Me” we learn about her changing environment and influences. These lyrics that she had to reach deep down into her heart to write always make me think about my early life, and the nostalgia I get is supported by the melancholy sounds. Nearly every other track though she’s talking about weird topics – not all the time, but it pops up very frequently and it just kills the mood. It’s like when you’re at a family reunion and the conversations are ruined by your creepy uncles’ inappropriate comments. I’m glad I get to experience Noname grow and develop as an artist, especially on this record since it’s more jazzy and sassy. It also feels more clean and organized, because Telefone did this weird thing where it had a 3 minute long interlude that could’ve served as a full track, then following that “interlude” was a fantastic song that was only 1:50 long. There’s nothing odd like that on Room 25, it has a very brief but attention-getting first track, and a somber but powerful final track. Do I like Room 25 better than Telefone? It was hard to say at first but after more listens I can definitely say I like Room 25 more. The comparison between these two records are like twin sisters but one is somehow hotter than the other.